More than 5,000 students will attend Graduation at the University of Southampton this year, alongside four leading figures from the fields of law, media, music and science who will receive honorary degrees. Music legend Brian Eno, BBC news reporter Jon Sopel, High Court judge Sir Adrian Fulford and former Vice-Chancellor of the University of Southampton Professor Sir William Wakeham will join this year’s graduates at ceremonies at the University’s Highfield campus. The Graduation ceremonies will take place daily in the Turner Sims and the Nuffield Theatre from Thursday 21 July to Thursday 28 July. Jon Sopel and Sir Adrian Fulford are both graduates of the University of Southampton and Brian Eno is a graduate of the University’s Winchester School of Art. Jon Sopel was also President of the Southampton University Students’ Union. Sir Adrian worked for Shelter’s Housing Aid Centre and the North Lambeth Law Centre before qualifying as a barrister in 1978 and initially had a broad common law practice including housing, employment and human rights law. He became a Queen’s Council (Q.C.) in 1994 and a High Court Judge in 2002. In 2003 he was elected to the International Criminal Court (ICC) and is the presiding judge for the ICC’S first trial, which arises out of events in the Democratic Republic of Congo. Sir Adrian has been President of the ICC Trial Division for three years. In the United Kingdom, he sits in Queen’s Bench Division and is one of the few judges selected to try terrorist cases. Sir Adrian is a former contributing editor of Archbold: Criminal Pleading, Evidence and Practice, a general editor of the United Kingdom Human Rights Reports and Archbold International and co-author of a book for practitioners on judicial review. Brian Eno is a musician, composer, record producer, music and cultural theorist, singer and visual artist, known as a principal innovator of ambient music and for his diverse collaborations with other artists, scientists, film makers and thinkers. Brian Eno graduated from Winchester School of Art in 1968. After a period with the band Roxy Music he went on to an immensely successful solo career. His work has been extremely influential, pioneering ambient, generative music production techniques for bands and artists. Brian Eno has been a political activist and commentator for most of his career. Southampton in 2009 after eight years in that position. He began his career in Physics at the University of Exeter and spent a postdoctoral period in Brown University, USA, before taking up a lectureship in the Chemical Engineering Department of Imperial College London. He went on to hold a series of important posts at Imperial including Pro-Rector (Research), Deputy Rector and Pro-Rector (Resources). Sir William is a Fellow of the Royal Academy of Engineering (and Senior Vice President), the Institution of Engineering and Technology, the Institute of Physics and President of the Institution of Chemical Engineers. His academic publications include seven books and 400 peer-reviewed papers in the field of transport processes and thermodynamics. In 2008 he chaired a Review of Physics as a discipline in the UK for Research Councils UK (RCUK) at the request of the then Secretary of State. He was made a Knight Bachelor in the Queen’s Birthday Honours List 2009 for services to Chemical Engineering and Higher Education. 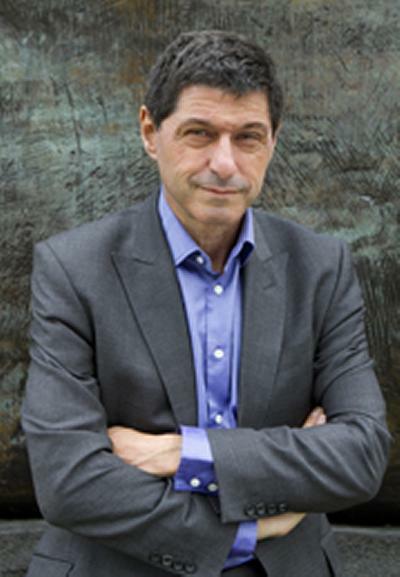 Jon Sopel presents the Politics Show on BBC One, is one of the lead presenters on the BBC News Channel and was voted Political Journalist of the Year in 2007 by the public affairs industry. Jon started his BBC career at Radio Solent in Southampton and went on to report for and then present PM on Radio 4. He was News 24’s Chief Political Correspondent and the Paris Correspondent. Jon has interviewed all the leading figures in British politics and has presented special editions of the Politics Show from locations including Helmand province in Afghanistan and Washington DC in America. He has anchored programmes from New Orleans after Hurricane Katrina and Sri Lanka following the 2004 Boxing Day tsunami; he was in Rome for the death of Pope John Paul II and presented the BBC’s output from the World Cup in South Africa. Jon wrote the first biography of Tony Blair, is an Ambassador for the Prince’s Trust and on the Advisory Council of the Citizenship Foundation.